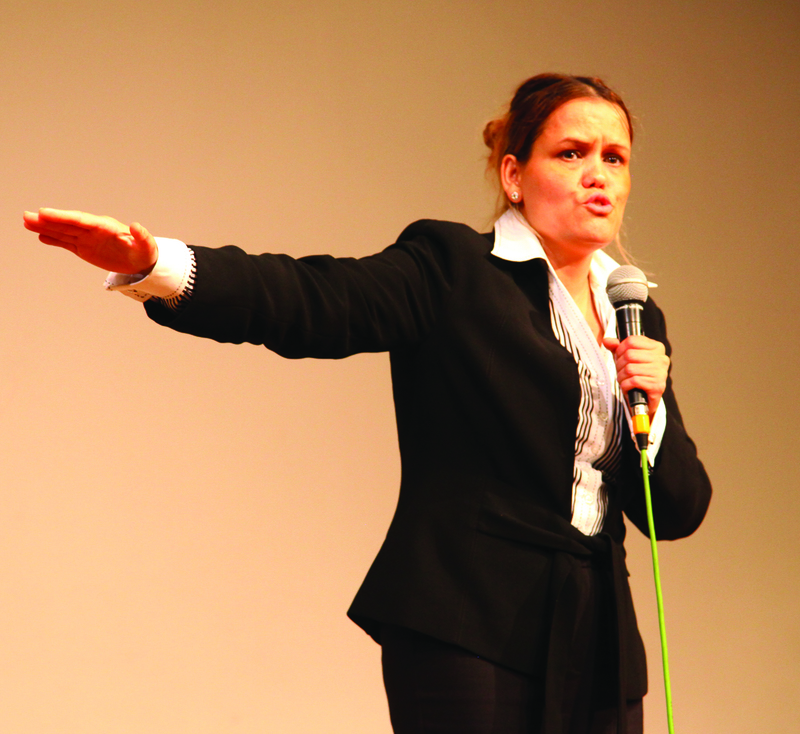 Acclaimed British motivational speaker, Jillian Haslam, stuck an emotional chord with the class 12th students of Mayur Vihar, Delhi-based Ahlcon International School, while delivering a motivational talk organized by Curriculum magazine in association with London-based Help Yourself Associates on July 16. The hour-long session was so mesmerizing and inspirational that students opened up with their problems and sought Ms Haslam’s counselling. She moved the young audience of over 200 boys and girls by narrating her own story of perseverance in odds and poverty stricken conditions and said that in order to succeed one needs self-belief, preparation and focus. She asked them to pay back to society once successful and always respect parents and teachers. Citing neurological science, she talked about keys to success. Students asked several questions ranging from careers to how they should handle parental pressure, own expectations, etc. “I love talking to students and motivating them to use their energies constructively. I don’t believe in lecturing but in coming down to their mental wavelength and befriending them so that they share inner feelings and fears. This way they get to sort out self-doubts, fears and seek advice on issues that most of time they keep to themselves,” she says. School Principal, Mr Ashok Pandey lauded Ms Haslam and said that she taught the students in one hour that we have been trying to tell them for years. “After this talk, our students will certainly become positive and display positivity in thought and acts,” he said. It may be mentioned that education news magazine, Curriculum, has got into an exclusive arrangement with Ms Jillian Haslam’s Help Yourself Associates for motivational talks for schools and institutions and campus to corporate workshops for colleges in India. “This inaugural talk in Delhi NCR has given us confidence and necessary impetus to take this offering to many more schools across Delhi and other parts of India. With international expertise from our partner organization, we are looking forward to a full calendar of such talks and workshops in coming months,” says Autar Nehru, editor of the Curriculum magazine. Ms Jillian Haslam, who was born and brought up in Kolkata and pursued her initial education in India is very excited to be again in India. “I am absolute at pleasure to come here. I am an Indian English and know the people well. I am sure my association with Curriculum magazine will prove beneficial to educational institutions here and I promise I am just a call away,” she adds. About Curriculum magazine-HYA motivational talks : Curriculum magazine, a respected education news and views magazine from Dehradun with a national perspective and 360 degree coverage of education sector reaches more than 50,000 institutions, individuals through print, web and channel partners all over India. The magazine is a campaign partner for HYA motivational talks, workshops and training courses in India and facilitates these offers in schools and institutions.